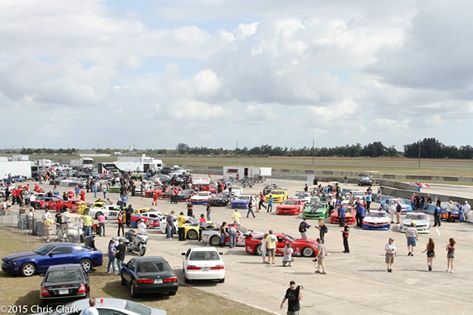 First race of 2015 was held at Sebring International. With 3 cars running under the BCR banner and a third built by BCR, we had high hopes going into the weekend, but mother nature had other plans. It was raining on and off thru most of the practise and part of the qualifying sessions. As such, we missed out on crucial testing, and were behind as the other top teams had plenty of testing at this track. 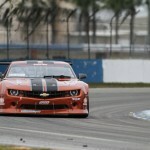 Regardless, our #07 TA2 Camaro, driven by Steve Kent Jr. qualified 6th out of 34, and Andrew Romocki, piloting his Rocanda Enterprises TA Mustang was 17th out of 20. Harry Steenbakkers made it to 14th in his BCR built TA2 car, but they were chasing set-up all weekend and Harry was struggling with a loose car. At the race start, Steve put on one of his trade-mark moves and passed a few cars, only to eat the wall as the throttle stuck wide open on lap one. A very disappointing, not to mention expensive, ending to an otherwise great qualifying and start. Harry struggled as well, finally tearing off the front splitter when he was forced off track by another competitor. The damage was too great to continue. Andrew’s race was far better in comparison, he had a clean start and was making his way up, all the way to the 9th position. His best lap was substantially quicker than he has ever gone, and he was fighting hard for a position close to the end when he spun. He finished 11th. Regardless of the outcome, we walked away with having learnt a lot, and very glad for Andrew who drove a great race.